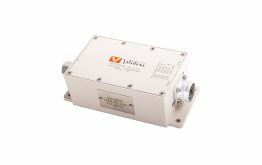 The compact, robust P55 provides cost-effective reliability for severe test environments. With extreme resistance to shock and vibration, the compact P55 delivers the same high-level performance expected from more delicate differential pressure transducers. The P55 will accept both liquids and gases directly at the sensing diaphragm – and there are no internal isolation fluids to slow the sensor response or cause excessive temperature drift errors. Validyne’s P532 Pressure Transmitters are ideally suited for measuring extremely low liquid and gas pressures in industrial applications. Full-scale differential pressure ranges from 0.10″ H2O to 2″ H2O with line pressure rating of 100 psig, and ranges of 2″ H2O to 3200 psid with line pressures up to 3200 psig are offered. Gauge pressure ranges start at 0.10″ H2O and absolute pressure from 0.08 psia full-scale. The P75 Submersible Pressure Transmitter is a IP68 rated pressure transmitter for applications in offshore and subsea industries. Made out of Titanium grade 2 material, the P75 can be used in very corrosive environments. This strain gauge pressure transmitter comes with a built in amplifier which is protected against transients at the supply voltage and the output signal line. 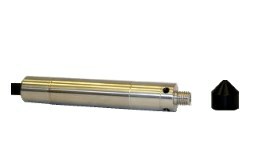 The P75 submersible pressure transmitter comes in pressure ranges from 10 to 1000 bar with a temperature range of -25C to +85C. 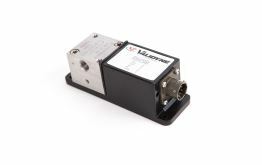 The P24 Differential Pressure Transducer is the combination of a variable reluctance pressure transducer and a miniature carrier demodulator integrated into a single package to provide for operation from mobile dc power and deliver a standardized dc output suitable for recording or telemetry. What makes Validyne and the Maritime Industry a perfect fit? Validyne pressure sensors and pressure transmitters have been used in the oil & gas industry for over 45 years. We have a variety of pressure sensors that can handle line pressures for 3k, 5k and 10K PSI while measuring a differential pressure of as low as 0.125PSI full scale. 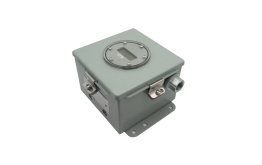 Enclosed in a NEMA 4 enclosure, the P24 has been used in the Navy for various applications. The Validyne P365 high line low differential pressure transducer can handle static pressures to 10,000PSI while measuring differential pressures of 8PSI. Most Validyne pressure sensors and pressure transmitters can be made with Inconel and Hastelloy materials which are known to be resistance to corrosive media and work well in water application. The P532 low pressure transmitter is a rugged pressure transmitter boxed in a NEMA4 housing that can handle pressures as low as 3.5”H2O. Can’t find what you are looking for? Check out our main site for more pressure sensors, pressure transducers and data acquisition systems or fill out the contact us form at the bottom of this page. NEED A CUSTOM MARITIME SOLUTION OR HAVE A QUESTION?